A post-Brexit Britain could provide Poland support on critical issues concerning its security. Besides having long term economic consequences for both the British and the European economies, Brexit will likely have security implications that may weaken the interlocking web of Western institutions and alliances that maintained peace and stability on the continent. This is because one of the long-term impacts of Brexit will be on the geopolitics of the region and Britain’s role in the world. 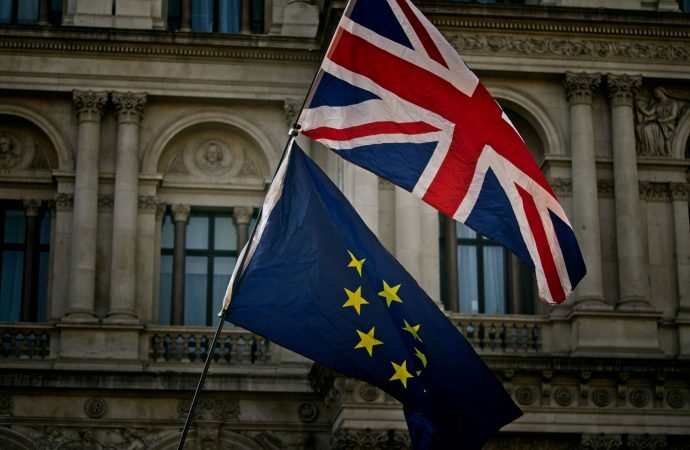 Britain’s entry into the European institutions was as much the result of strategic calculations as it was about accepting the geopolitical reality that emerged after the Second World War. Before World War II, Britain was the dominant global power—having control over important trade routes across the Atlantic, Indian, and Pacific oceans. Control over maritime trade routes coupled with leading the industrial revolution in Europe enabled Britain to emerge as the dominant economic power in the nineteenth century. However, in the latter half of the nineteenth century—following its unification— Germany emerged as a dynamic continental powercapable of both efficient production and trade. The end of the nineteenth century, therefore, saw the U.K. gradually lose its European primacy owing to competition from Germany in terms of industrial production, trade, and military strength. However, it was only after World War II that Britain lost its global dominance to the United States. The situation after World War II saw the U.S. rise as the dominant power. The United States’ strong economy and superior naval strength enabled it to control global maritime trade routes. The geopolitical rationale drove the U.K. to become a strategic ally of the United States. Securing vital maritime trade routes worked in the interest of both countries. For the U.S., with coasts with both the Atlantic and the Pacific Ocean, securing its waters was a matter of security driven by geography. For the U.K. it was about keeping the vital channels of international trade open. But the disintegration of its empire also meant that the U.K. was left with a weak economy which needed to be rebuilt. World War II devastated European economies. The founders of the European Union decided that the best way to ensure growth on the continent would be to join European countries economically and politically into institutions that would eliminate the threat of war. Thus, the idea of having a common market in continental Europe began taking shape. As European countries grew more united and rebuilt their economies, the U.K. saw an opportunity. It realized that the common European market could supplement if not replace its decreasing imperial markets. In other words, economic interest motivated the U.K. to join the E.U. The U.K. also found that it benefitted in being an active member of the European security architecture. NATO and the E.U. became the bedrock of British national security. Participation in NATO allowed the U.K. to maintain some global power and redefine its position in post-war Europe. During the Cold War, the U.K. built its foreign and defense policy around its membership of NATO. The alliance that was formed to protect Western Europe from invasion by the Soviet Union, became central to how the U.K. would structure, equip, and deploy its armed forces for decades to come. However, the end of the Cold War saw the U.K.’s defense spending reduced following the elimination of the Soviet threat. This resulted in major cuts being imposed on the British Armed Forces, a process that was mirrored in most European NATO member states. While the U.K. did not provide the bulk of troops and resources to European security operations in Kosovo, Afghanistan, the Aegean Sea, and the Gulf of Aden, its contributions in terms of providing strategic guidance, expertise, intelligence, and equipment, proved effective and contributed to the E.U.’s international credibility on security issues. The U.K. has thus been an integral part of European security architecture in the post-Cold War era. However, with Brexit, this could change. The impact of Brexit will at best introduce uncertainty and at worst permanently weaken Western defense by introducing new divisions in Europe. There are a number of issues on how the post-Brexit U.K. will continue to co-operate with bodies such as Europol and European Counter Terrorism Center. At the moment it is assumed that Britain’s co-operation in European security arrangements will continue after Brexit, but it is not certain—much depends on how negotiations take shape. Given the importance of such bodies to both the U.K. and the E.U., it is safe to assume that both sides would try to find some common ground. Losing one or the other would have negative consequences on not just the functioning of the organization but also on the overall security in Europe, which recent terrorist attacks have shown is lacking. Therefore, the U.K.—with its large military budget, advanced weaponry, and a highly sophisticated intelligence services—has proved vital in maintaining both EU’s vital counterterrorism and homeland security efforts. The real impact of Brexit would be on the bi-lateralization of relationships in the E.U. which could impact the E.U.-NATO multilateral dynamics. Already, the U.S. has prioritized its relationship with certain E.U. countries, for example, Poland and Romania. U.S. policy has been in cognizance with the Intermarium concept, an idea that is floated by strategic thinkers to understand U.S. policy especially with regards to Central and Eastern European countries. The U.K. has a strong military relationship with the United States. Compared to other European powers, the U.K.’s military strength and common foreign policy interests have enabled it to share the military burden with the U.S. when engaging in global and regional operations. President Trump’s evident dislike of the E.U. and the NATO and his support for reviving the special relationship between the U.K. and the U.S. offers the former a tempting prospect of making its relationship with the U.S. the central pillar of its foreign policy. At the same time, the U.S. policy of working with Central and Eastern European countries provides much common ground for Britain to remain an influential power in Europe by building stronger ties with emerging powers in that region. A case can be made for a stronger partnership between Poland and a post-Brexit Britain. The two countries have already signed the Treaty on Defense and Security Co-operation under which commitments have been made for cooperating on a number of issues ranging from cybersecurity to strategic communications. Under this defense and security co-operation agreement, Britain can offer Poland a number of benefits. It is important to note that although Poland has been an active member of NATO and is among the few countries that contribute two percent of its GDP to the NATO budget, it does not solely rely on NATO for its security. Poland over the years has focused on cultivating bilateral defense relationships with key countries to match its security considerations. A post-Brexit Britain could provide Poland support on critical issues concerning its security. Britain has been one of the staunchest critics of Russian President Vladimir Putin’s policy in Ukraine. There is no reason to assume that London’s policy will change after Brexit. Britain has its own problems with Russia and it would be in Britain’s interest to throw its diplomatic weight behind Poland’s resistance against Russia. Moreover, Britain can also provide Poland with investment and trade agreements that could decrease Poland’s dependency on Germany for economic growth in the long-term. Solidifying Poland’s political position in Europe would enable Britain to remain relevant in European geopolitics. For Poland, having the support of an economic and diplomatic powerhouse would be crucial as it campaigns against German influence in Europe.